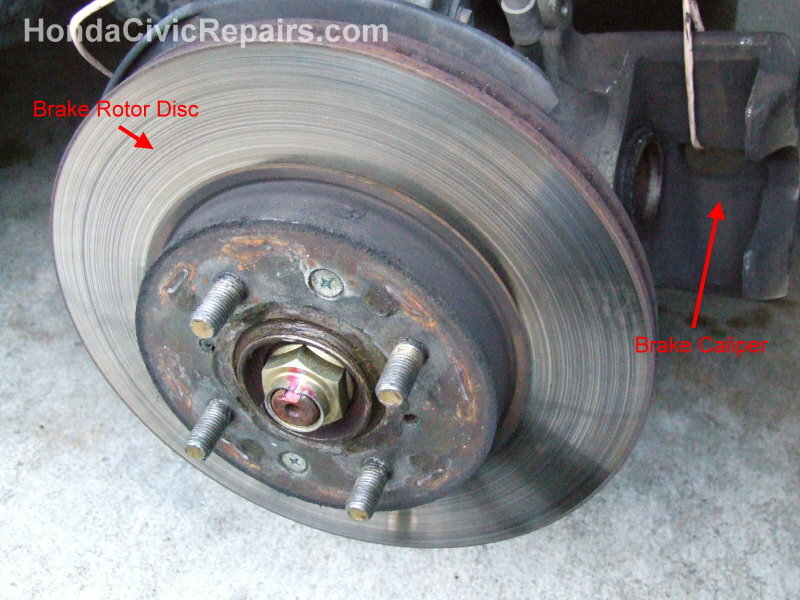 Replacing the brake rotor disc never crossed my mind only after I began to experience an increasingly slight rattling of the steering wheel each time I hit the brakes while moving 40 mph. 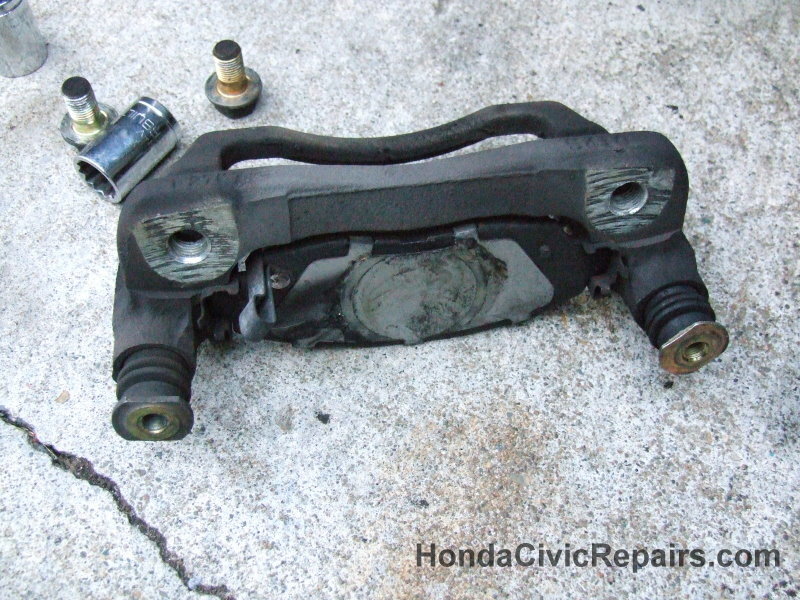 Initially I thought it was the brake pads. So I decided to replace them to see if it would resolve the problem. After changing them with a new pair of brakes, I took the car out for a spin to test if the rattling of the steering wheel went away. Unfortunately, it did no good. 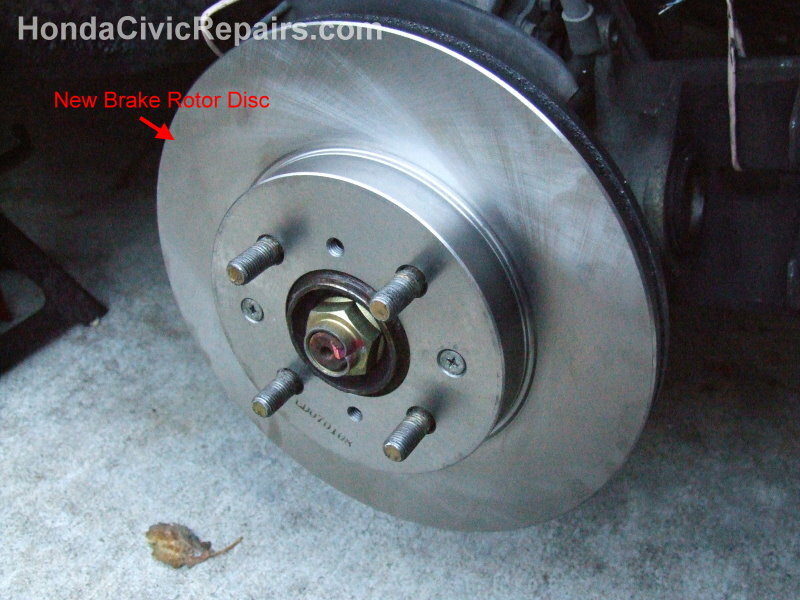 I read somewhere that the Rotor Brake Disc may be the cause as it may have become warped. So I decided to buy new Rotor Brakes and replaced them for repairs. After replacing, the steering wheel stopped shaking when I pressed on the brakes. Success. * A wire to tie the brake caliper from falling. 2. Lifted the front end of the car until the wheel was off the ground. Used a jack and jackstands to secure the car. Placed a block of wood behind the rear wheels for added security. 6. Tied one end of the wire around the brake caliper and raised the wire so it could support the caliper from falling. Tied the other end of the wire above near the shock springs securely. 7. Removed the old outer and inner brake pads. 8. Removed the brake caliper mount bolts (17mm). 9. Removed the screws holding the old brake rotor disc. Used a rubber mallot for stubborn brake rotor discs. 10. Installed the new brake rotor disc. 11. Returned the screws holding the old brake rotor disc. 12. Installed the brake caliper mount and secured the bolts (80 lbs.ft). 13. 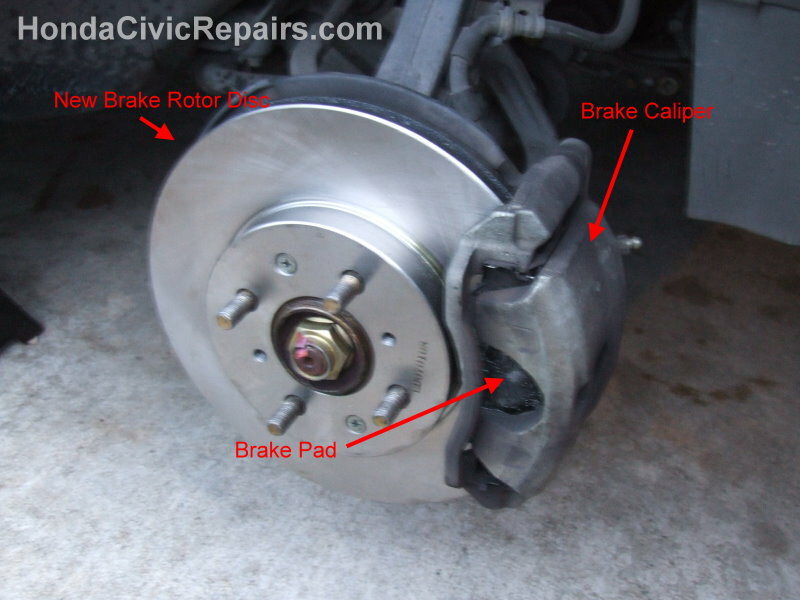 Reinstalled the brake pads unto the caliper mount. 15. Returned the caliper over the new brakes and secured with caliper bolts (20 lbs.ft). Remembered not to overtighten the caliper bolts or the bolt head may snap off. 16. Returned the wheel and secured with lug nuts (80 lbs.ft). 17. Lowered the car back down.